Shanghai, China, November 28, 2016 /ChinaNewswire.com/ - AccorHotels has successfully grown every brand in its portfolio notwithstanding the economic slowdown over the past decade. With its wide spectrum of properties from the luxury to economy segment, the group aims to meet and cater to the various needs and preferences of its diverse clientele from business to leisure and millennial travellers. 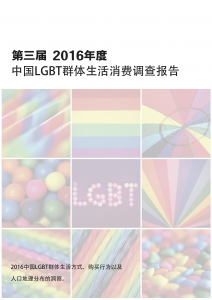 Since the successful strategic alliance with Huazhu in January 2016, some 86 AccorHotels’ branded properties came under the Huazhu structure. This has created tremendous opportunities for the growth of the AccorHotels network in the domestic China market. At the same time the alliance also facilitated the development of Chinese outbound businesses across Asia-Pacific and globally. AccorHotels sees considerable potential growth of its loyalty members with the two entities which currently consists of 95 million members. The number of hotel openings will also be growing steadfastly with the annual target of 50 economy and mid-scale hotel brands for ibis, ibis Styles, Mercure and Novotel across mainland China under Huazhu alliance over the next three years. In July 2016, AccorHotels announced the acquisition of three iconic brands Raffles, Fairmont, and Swissôtel under FRHI. This strategic deal positions AccorHotels as a luxury hotel leader in the hospitality industry. With a greater global reach, a more diverse portfolio, a powerful loyalty programme and a sizeable customer base in North America, AccorHotels also shows its expertise with the combined strengths of both companies in talent development and industry experience. The acquisition of FRHI added 155 hotels and resorts to the global network of AccorHotels, including nine properties in Greater China. The portfolio under the luxury and upscale division now includes Raffles, Fairmont, Sofitel Legend, SO Sofitel, Sofitel, onefinestay, MGallery by Sofitel, Pullman and Swissôtel. This year in Greater China, AccorHotels opened 15 hotels under the Fairmont, Sofitel, Pullman, Novotel and Mercure branding. 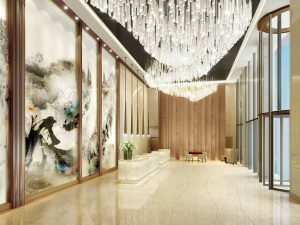 Next year, the group continues to expand its network with the opening of another 15 hotels across Greater China which includes Fairmont Chengdu, Fairmont Wuhan, Sofitel Guiyang Hunter, Sofitel Foshan, Pullman Zhouzhuang Resorts & Spa, Pullman Baotou and Grand Mercure Zhengzhou Xintian Town. 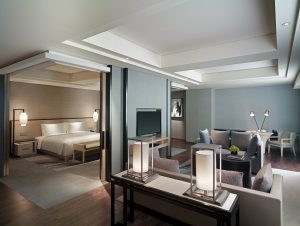 – Located in the heart of the central business district, Fairmont Chengdu features 336 well-appointment guest rooms and suites that combine the traditional elements of Chengdu and contemporary cultural elegance. – Sofitel Guiyang Hunter is the tallest building situated in the city centre adjacent to Hunter shopping mall and only 11km away from the airport and 3.8km from the railway station. This luxury hotel features 274 spacious rooms and suites with floor-to-ceiling windows to best capture the magnificent views of Guiyang. 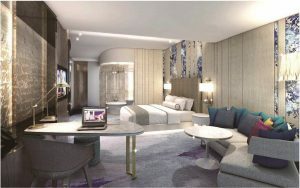 – Slated to open in 2017, Sofitel Foshan is located in Lecong in Shunde and connects to Louvre International Exhibition Furniture Centre. The 326 room hotel features a chic interior design with state-of-the-art furnishings and well blended with French and Cantonese “Art de Vivre" of Foshan. 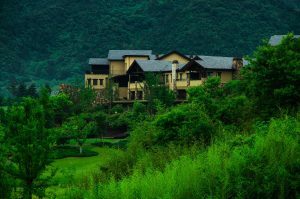 – Located in China’s ancient town of Zhouzhuang, Pullman ZhouZhuang Resort & Spa is surrounded by a lake with a scenic water town. Nicknamed Venice of the Orient, the hotel combines the exquisite beauty of the Southern Yangtze River with a touch of French elegance interspersed with modern architectural surrounds. – Featuring 300 contemporary guest rooms, Pullman Baotou is located within close proximity to the convention centre. It is only a 20 minute drive to the airport and 5 km away downtown. 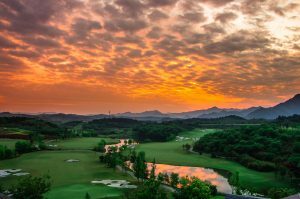 – With an ecological farm featuring a 2,000 metre hot spring stemming from the ground, Grand Mercure Zhengzhou Xintian Town is a nature resort featuring 288 guest rooms located central’s China’s Henan province. Shanghai, China, November 15, 2016 /ChinaNewswire.com/ - The most respected hotel exhibition in the Asia Pacific region AccorHotels Showcase kicks off in Greater China on Tuesday 15 November 2016. AccorHotels Showcase is the largest and most successful hotel exhibition and sales mission series staged across Asia Pacific. This is the 13th year for the event to tour the region, starting in the Pacific in early September with events in Auckland and Sydney, moving to North Asia and Southeast Asia, finishing in Singapore on 24 November 2016. The showcase provides travel agents, wholesalers, corporate clients, tourism partners and MICE organisers the opportunity to discover AccorHotels accommodation trends, news and stunning hotels & resorts from around the world. In attendance will be AccorHotels’ executives representing more than 4,100 hotels and resorts worldwide from Europe, the USA, Asia, Australia, Fiji and New Zealand. The Showcase will offer an insight into the group’s newest developments, products and services, alongside key industry partners. This year, the AccorHotels Showcase will kick off at Parklane Hong Kong, a Pullman hotel, on 15 November, before moving on to Sofitel Guangzhou Sunrich on 16 November and Fairmont Peace hotel (Shanghai) on 17 November. The highlight will also include the group’s newest members of Raffles, Fairmont and Swissotel, and the first time for the AccorHotels Showcase to be held in a Fairmont hotel. Opening hours for the hotel exhibition are from 10.30am – 3.30pm. Registered visitors will have opportunities to win a range of travel and accommodation prizes throughout the day. AccorHotels Showcase already well-established as a must-visit event on the industry calendar in Greater China, with positive feedbacks and results from clients and partners. Hong Kong, China, November 15, 2016 /ChinaNewswire.com/ - JW Marriott Hotel & Resorts and DJI, the world's leading drone-maker, today announced a special partnership that will launch the luxury hotel brand's first Drone Experience Program. The program will provide guests with the opportunity to experiment with DJI's innovative drone technology. Hotel guests will view the beauty of JW Marriott's properties through a new perspective, and will be able to capture and share these experiences with friends and family. "Delivering an exceptional guest experience is at the heart of what we do at JW Marriott, and this exciting partnership with DJI allows us to continue transforming the way our guests capture their travel experiences," says Mike Fulkerson, Vice President of Brand Marketing, Asia Pacific, Marriott International. 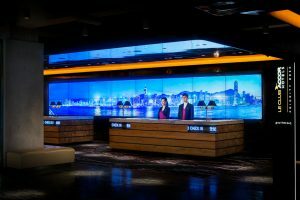 "Anji is a fantastic destination to pilot this cutting-edge technology and the program will help guests both learn something new and share their experiences with friends and family." "We are delighted to be partnering with JW Marriott to enrich the guest experience. DJI's aerial platforms and camera technology will allow travelers creative means of capturing and sharing their travel experience with the rest of the world. The combined geographic footprints of DJI and the JW Marriott brand will enable us to debut the program in some of the world's most desirable destinations," said Eli Morgan Harris, DJI's business development manager. JW Marriott is part of Marriott International's luxury portfolio and consists of beautiful properties in gateway cities and distinctive resort locations around the world. These elegant hotels cater to today's sophisticated, self-assured travelers, offering them the quiet luxury they seek in a warmly authentic, relaxed atmosphere lacking in pretense. JW Marriott properties artfully provide highly crafted, anticipatory experiences that are reflective of their locale so that their guests have the time to focus on what is most important to them. Currently, there are more than 75 JW Marriott hotels in over 25 countries; by 2020 the portfolio is expected to encompass more than 115 properties in over 35 countries. Visit us online, on Instagram, Twitter and Facebook. Marriott International, Inc. (NASDAQ: MAR) is the world's largest hotel company based in Bethesda, Maryland, USA, with more than 5,700 properties in over 110 countries. 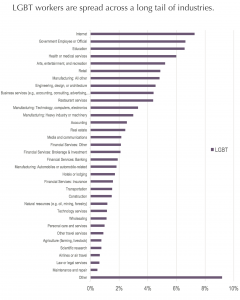 Marriott operates and franchises hotels. and licenses vacation ownership resorts. The company's 30 leading brands include: Bulgari Hotels and Resorts®, The Ritz-Carlton® and The Ritz-Carlton Reserve®, St. Regis®, W®, EDITION®, JW Marriott®, The Luxury Collection®, Marriott Hotels®, Westin®, Le Méridien®, Renaissance® Hotels, Sheraton®, Delta Hotels by MarriottSM, Marriott Executive Apartments®, Marriott Vacation Club®, Autograph Collection® Hotels, Tribute Portfolio™, Design Hotels™, Gaylord Hotels®, Courtyard®, Four Points® by Sheraton, SpringHill Suites®, Fairfield Inn & Suites®, Residence Inn®, TownePlace Suites®, AC Hotels by Marriott®, Aloft®, Element®, Moxy Hotels®, and Protea Hotels by Marriott®. The company also operates award-winning loyalty programs: Marriott Rewards®, which includes The Ritz-Carlton Rewards®, and Starwood Preferred Guest®. For more information, please visit our website at www.marriott.com, and for the latest company news, visit www.marriottnewscenter.com and @MarriottIntl. Beijing, China, November 9, 2016 /ChinaNewswire.com/ - New World Beijing Hotel will be holding a "Flash Sale" on 11 November 2016 and guests booking a one-night stay at the Best Available Rate will receive the second night completely free. Patrons reserving a winter escape at New World Beijing Hotel online between 8 a.m. on 11 November 2016 and 9:01 a.m. on November 2016 for a visit anytime from 11 November 2016 to 31 March 2017 will enjoy a "Buy One, Get One Free" offer on all room categories. In addition, patrons spending the upcoming winter holidays at the hotel in the heart of Beijing for an unbelievable price will enjoy complimentary wireless Internet and buffet breakfast for two people. The hotel has the distinction of being the closest deluxe hotel to the Temple of Heaven, as well as being conveniently near Tiananmen Square, the Forbidden City and the famous shopping streets of Wangfujing. 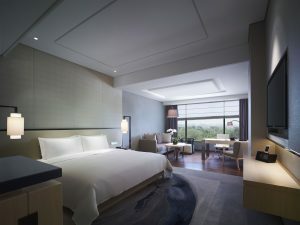 With a low-rise design complementing the adjacent residential neighbourhood, New World Beijing Hotel features 309 spacious guestrooms and suites, ranging from 47 square metres for a Superior room to 400 square metres for the Presidential suite. Guests seeking the highest level of exclusivity will opt to stay on the Residence Club floors, with full access to the Residence Club Living Room, which features a library and reading room, dining areas, meeting spaces, a cosy fireplace as well as a dedicated concierge service and complimentary buffet breakfast, afternoon tea, evening cocktails and refreshments throughout the day. The Residence Club's 1,000-square-metre outdoor terrace is the largest executive floor outdoor space among the capital's luxury hotels, with fireplaces creating a warm welcome during the cooler months. The terrace is also available for private events or celebrations for up to 380 guests. The 309-room New World Beijing Hotel is the closest deluxe hotel to the Temple of Heaven and is conveniently located near Tiananmen Square, the Forbidden City and the Wangfujing shopping district. Hotel dining includes Tian Tan Kitchen, an all-day dining café; 8 Qi Nian Chinese restaurant; TANG lobby lounge and YIN on 12 rooftop bar. A health club, spa and indoor swimming pool provide recreational options while meeting space totalling 1,542 square metres includes a windowed ballroom and seven function rooms. The Residence Club executive floor offers the largest outdoor terrace among Beijing's luxury hotels. For further information, please contact a travel professional or visit www.newworldhotels.com. Shanghai, China, November 8, 2016 /ChinaNewswire.com/ - In a major partnership, AccorHotels, a world-leading travel and lifestyle group, has joined forces with LinkedIn, the world’s largest professional network on the Internet, to enrich its mobile app with an unprecedented new service for travelers. 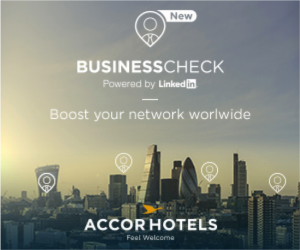 All AccorHotels guests can use this new feature, Business Check powered by LinkedIn, to create and facilitate business opportunities. By allowing travellers to identify people in their professional network who are based in the city they are in and suggesting relevant profiles to connect with, this new feature enables professionals to stay connected on the move. – Connect to their LinkedIn account and share their next business trip destination with their network in one click. – Find out which of their LinkedIn contacts reside in the city they are staying in again, see them again or get to know them better and contact them directly using either a personal email or Inmail. – Develop their network thanks to Business Check powered by LinkedIn’s suggested list of relevant profiles residing in their travel destination. Business Check powered by LinkedIn has been available on the AccorHotels app since September 2016 in its 18 languages (English, French, German, Portuguese, Italian, Spanish, Dutch, Chinese, Japanese, Polish, Brazilian Portuguese, Russian, Indonesian, Korean, Arabic, Turkish, Thai, and Swedish). This new service rounds out AccorHotels’ feature-rich app which is designed to assist travellers before, during and after the hotel stay and is currently downloaded five times a minute. To accompany the launch of BusinessCheck powered by Linkedin, AccorHotels is enriching its LinkedIn content strategy to target international and national travellers in France, the United Kingdom, Germany, Italy, Belgium, Australia and Brazil. From 19th October to 19th December, it will run a campaign of Sponsored Content and InMails under the slogan “Boost business opportunity all over the world”. These informative, useful and entertaining messages, complete with illustrations, computer graphics, stop-motion, photos and more, will insert effortlessly into business travel life.